If you’ve ever gone on vacation wanting something more than what the typical motel or hotel offers and you find that cabin rental rates are slightly out of your price range, then be sure to check out the many Pigeon Forge condos for rent. Many of the available condo rentals offer multiple bedrooms, kitchens, fireplaces, private balconies, and so much more than a hotel for close to the same price! Another perk of renting condos in Pigeon Forge is their location and amenities. They are often located near the parkway putting you close to popular attractions, restaurants, shopping and more. They often offer pools, exercise facilities, laundry rooms, and more that you simply won’t find in a hotel or motel. In the list below, you’ll find some popular Pigeon Forge condos for rent with links where you can see their photos, rates, specials, and more! 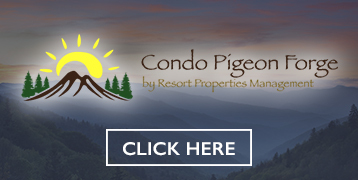 Condo Pigeon Forge offers some fantastic award-winning condos in 3 separate locations. They have 1-4 bedroom condos that are fully furnished. Best of all, when you rent their condos you’ll receive free tickets to area attractions. Click below! 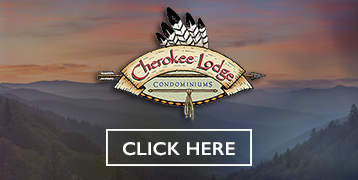 Cherokee Lodge Condominiums is located in nearby Pigeon Forge close to Dollywood. They offer excellent 2 and 3 bedroom condos with a fireplace and jacuzzi in each condo rental! Click the link below! If you’ve stayed in a Pigeon Forge condo please share your experience with others in the comments sections below. We’ll be adding even more condominiums for rent to the list, so be sure to sign up for our free email newsletter to get the latest updates and special deals!